The jewel in the crown of Kanazawa is the garden, Kenrokuen. It encompasses almost 12 hectares. It was developed over a span of 200-plus years, from the early 1600’s to the mid-1800’s. 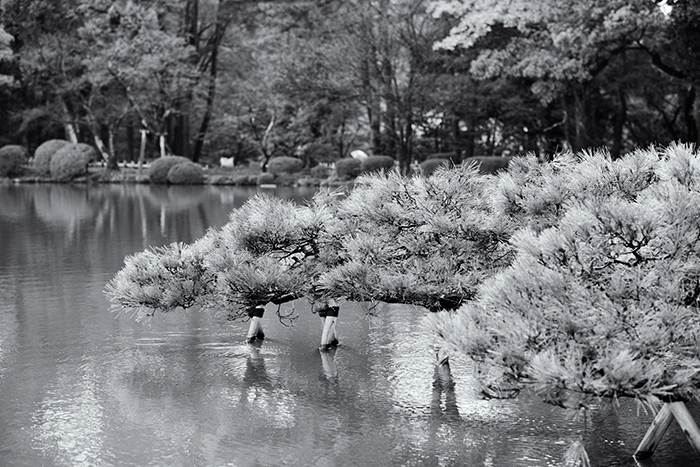 It is considered one of the three great gardens in Japan. That explains the huge crowds of tourists, rain or shine.